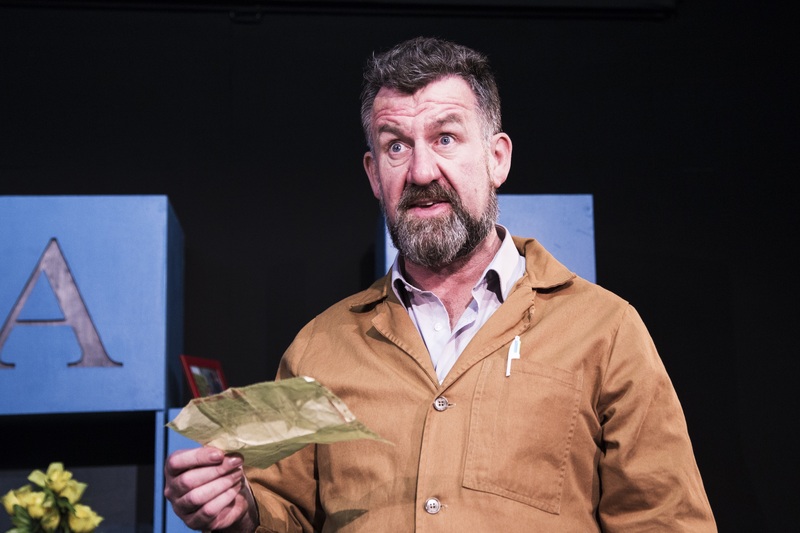 Minding Frankie – Viking Theatre – Review by Frank L.
Maeve Binchy was a storyteller. 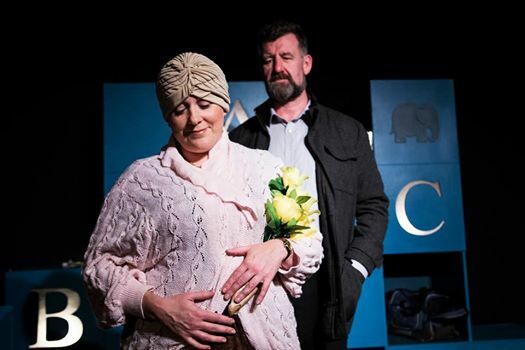 In this adaptation of her last novel Moira Tierney (Clare Barrett) is a country girl making her own way in Dublin as a social worker. Her Mother is dead and her father is not communicative. She goes home increasingly infrequently. She has a client Stella who has terminal cancer and who has had her problems along the way. Stella wants Moira to get in touch with a friend of hers, Noel Lynch (Steve Blount), to ask him to go to see Stella in hospital. He is puzzled by the request but he does. Stella has a great deal to tell him arising out of the rock concert they both attended down the country a little while ago. Stella is pregnant and she claims the father is Noel. For Moira, as social worker, this raises a multiplicity of issues not least that Noel has a drink problem and on paper would appear not to be suitable to raise a child. Moira considers that Frankie, the soon to be born child, should be brought up by foster parents. Noel thinks differently. Binchy describes the tangle of problems with her customary narrative skill and a great deal of humour. The central figure is Noel. He is indeed “left holding the baby” and Steve Blount manages to straddle the world of being well-intentioned but flawed, as he comes to battle alone with parenthood. He has a lot to learn quickly and he also has to deal with the somewhat officious Moira who plays her social worker part by the book which at times increases his problems. Clare Barrett’s many talents are extensively deployed not only as Moira but also as Stella. She has a great ability to transform herself in a jiffy. In addition she plays other fleeting characters in a series of cameo pieces. She takes it all in her stride including an unscripted and unwanted mobile telephone ring which she managed , without missing a beat, to incorporate, with aplomb, into the text. Some skill. The set by Ciara Murnane represents a child’s room with letters of the alphabet boldly displayed on large stacked boxes. It is adaptable and manages to transform itself into a multiplicity of locations. 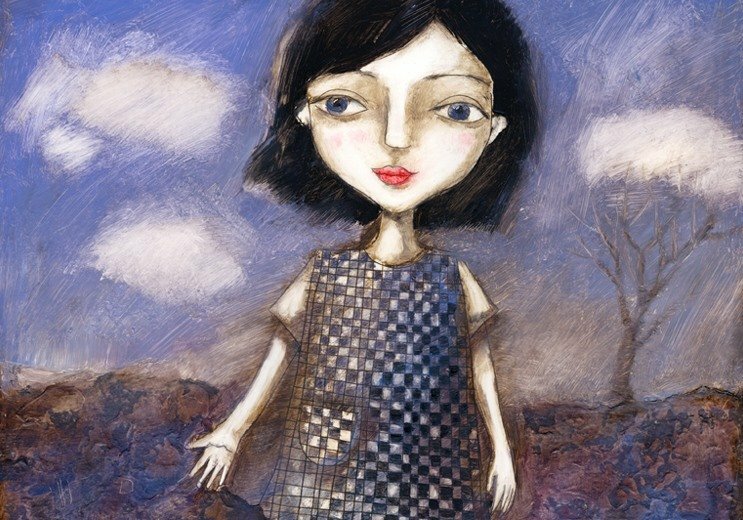 Maeve Binchy’s benign fascination with other people’s lives is on display throughout. The single father, the cancer encircled pregnant woman, her death, social workers, alcoholism, and DNA testing all have important roles. But what is central is the sheer energy required of ordinary, everyday Noel in order just to cope, to keep going and to get through. It is a feel good story and the audience loved it.